Ghostbusters Outfit: Start with beige or gray coveralls. Next, sew a name badge onto the coverall, alongside the ghost symbol, running the red circle and line through the symbol. The official Ghostbusters site is an ideal place to visit and print out a template symbol. You can include some optional touches to the Ghostbusters outfit, such as elbow pads alongside a backpack that features a back box. Gorgeous Care Bears Costume: You can also sew 80’s costumes for Halloween to mimic Care Bears. All you need is brightly colored hoodie without sleeves. Cut off the sleeves in order to arrive at matching rounded ears on the clothing’s head. On the belly of the costume, you should sew in a white circle and use a Care Bear symbol like the rainbow, shooting stars, sun or heart to decorate it. 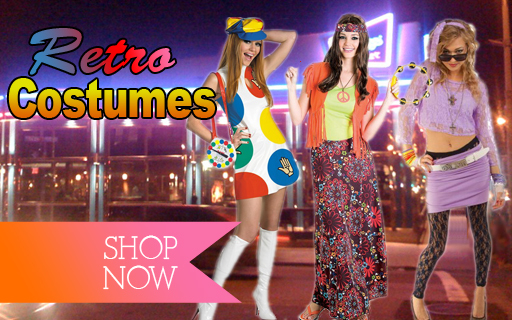 Tons of online stores stock vast varieties of theme costumes, including the 1980s costumes and dresses for different purposes. Your local thrift store is also a good place to ransack for 80s themed clothing and clothing items. 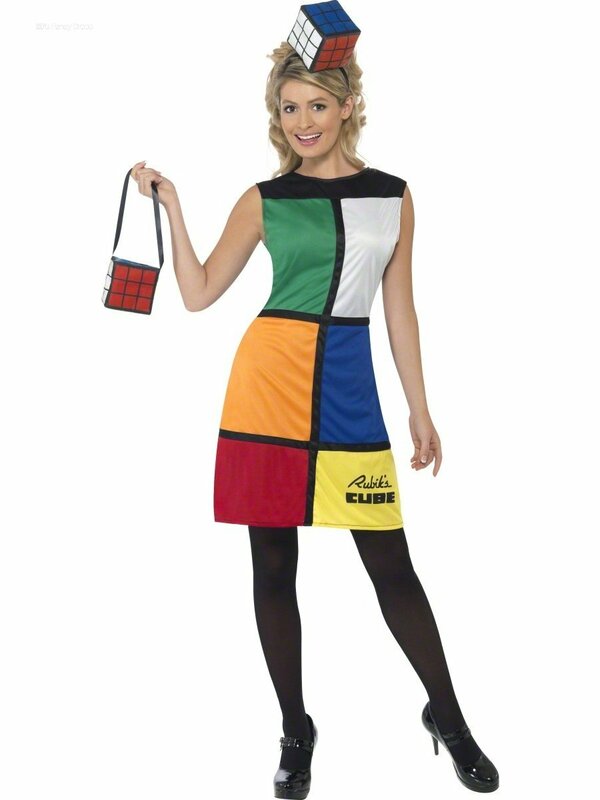 What you should bear in mind is that bright and multi colors are the major characteristics of the 80s dressings. So, when you go online or visit your local thrift store to shop for 80s Halloween costumes or 80s theme party wears, insist on collecting brightly colored costumes and fashion items. For a more defined 80s look, cover your jean pockets, denim jacket or dress. Consider decorating the entire sleeves or shoulder – make a design or create a picture, or simply accent collars in a selective manner. Additional fashion items for a more definitive 80s look include using bandanas, scarves, T-shirts, boots, and decorative belts. Remember it’s all about color when it comes to 80s theme. It would be nice to accentuate your definitive 80s look with a colored hair. Colors such as green, purple or bright red are great for this hairdo. Also, you may find a punk look more interesting and fun. In that case, create a faux-hawk spike on your hair. And, adding some scarves, headbands or bandanas on a teased hair will present you as an 80s fashionista. 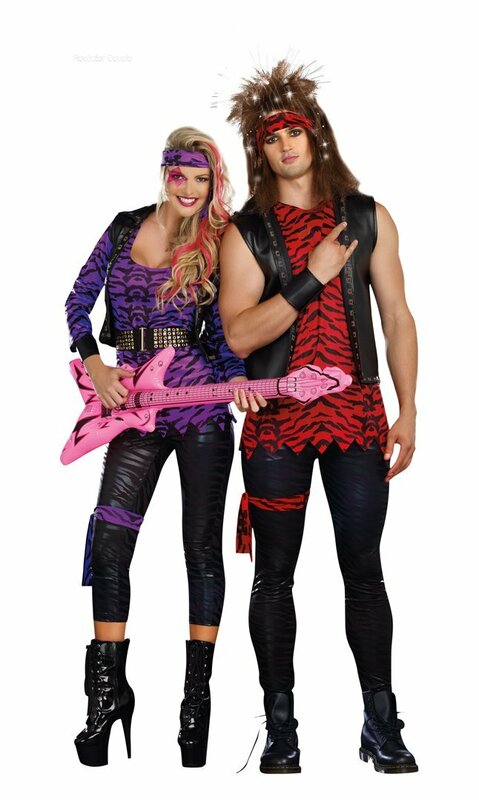 We have more 80’s costumes ideas for you. Keep reading our posts.